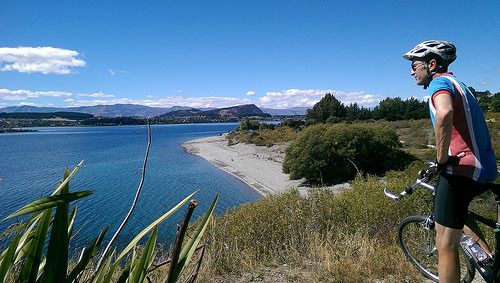 Today we cycled the Glendhu Bay Track from Wanaka. 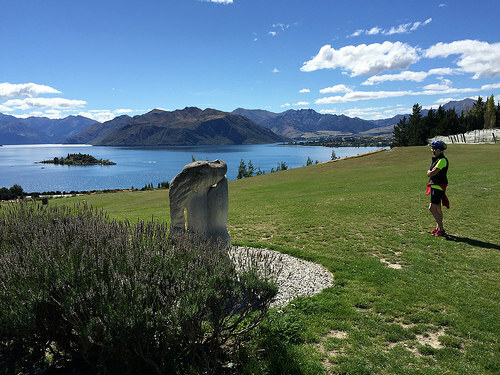 We started from the Wanaka lake shoreline and cycled to the Glendhu Bay camp ground. The Glendhu Bay Track is quite challenging in places but worth the effort, for the beautiful views. In many places throughout New Zealand, you only need to travel a few kms up the road to get away from the crowds! 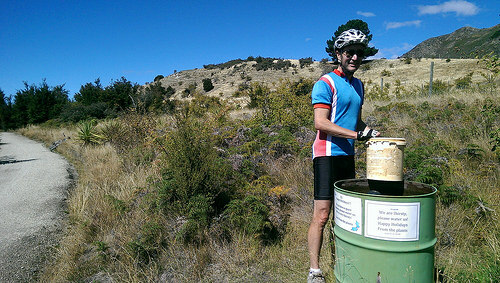 On the way back we came across a neat opportunity to make a small contribution to conservation. The sign on the tank reads “We are thirsty, please water us”. We obliged. 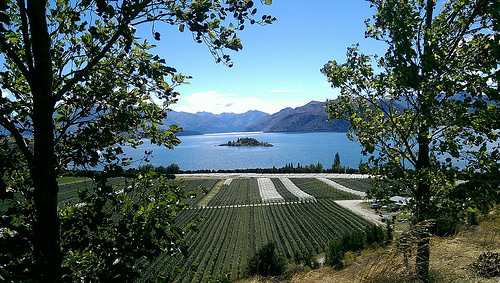 We couldn’t possibly return from the Glendhu Bay Track from Wanaka, without visiting the much photographed Rippon Vineyard. This Otago vineyard has reached ‘icon’ status and has achieved international fame. 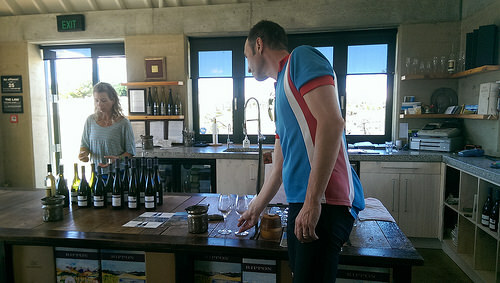 No vineyard visit is complete without a tasting room experience. Rippon wines are superb. Don’t forget to have a look at the lovely little chapel that has been built in the complex. This would be a great wedding venue. We loved their 2011 Riesling. Central Wanaka has a relaxed vibe. 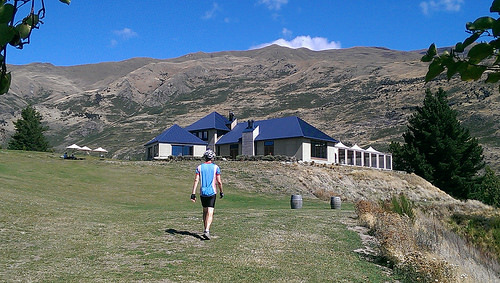 Some visitors prefer to stay here, rather than the busier Queenstown. The summer months are glorious for every land, sea or adventure you could wish for. Well done you for still getting out and about – gorgeous day for it so why not. Hope you are feeling better soon – fingers crossed the “wee” wine tasting did the trick…… – how’s that for an idyllic location! Hey Jan, the wine tasting certainly awoken other senses – lovely complex where the tasting room is. It also contains a beautiful chapel styled room for weddings -it’s lined with wine barrels. Worth checking out. Um, well Jane, the rules in this house is that only 1 day of sickness is permitted. I’ve revisited the photo and I think Michael has version of a helmet worn way back in Roman times, by a Praetorian Guard.